Campaigning with Mitt Romney and Barack Obama, voting and election results. Obama’s demographic edge… And the GOP’s demographic dilemma… Breaking down last night’s results… Do status-quo election results = status-quo governing?... 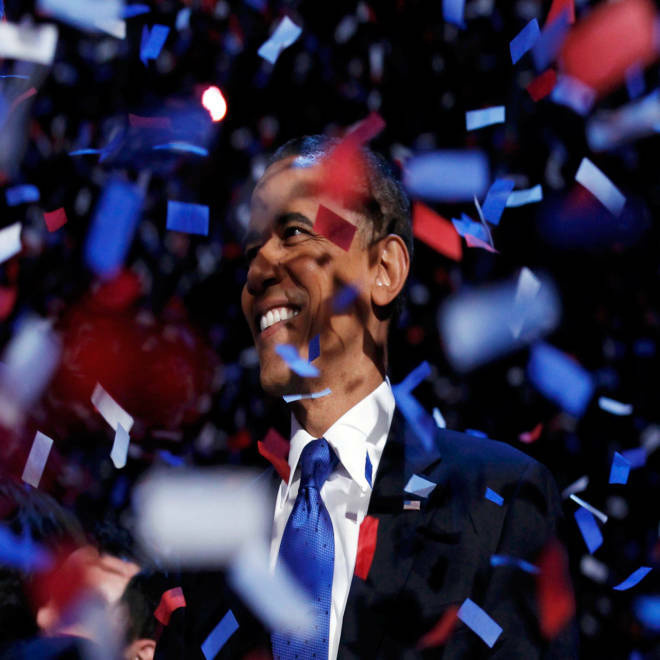 Obama’s swing-county swagger…His tactical dominance… And lots of history was made last night. President Obama and former governor Mitt Romney both spent billions of dollars and logged thousands of miles on the campaign trail, and it all culminated in one very dramatic election night. Take a look back at the long road that led to the Presidential election.